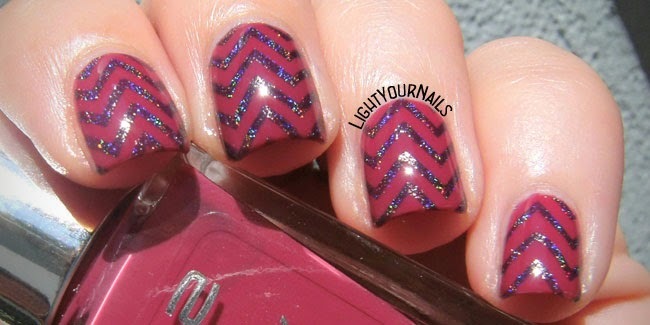 Holographic chevrons nail art | Light Your Nails! Oggi è giorno di nail art quindi vediamola! 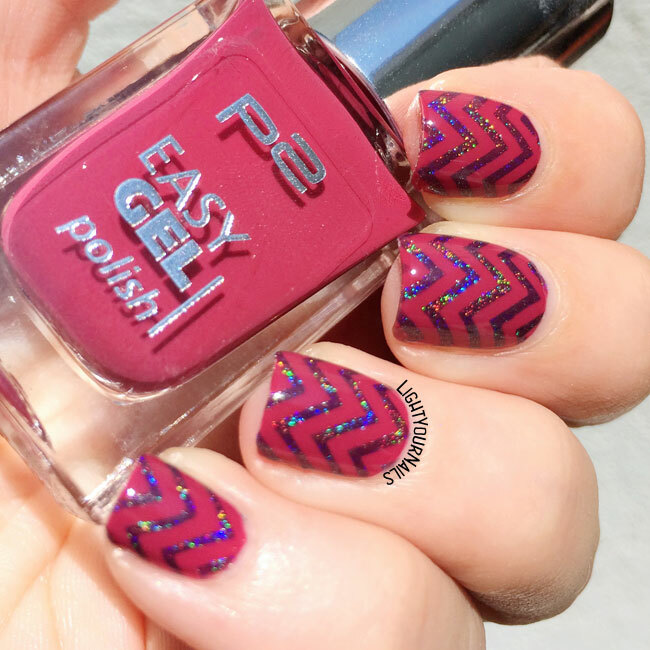 Come base ho utilizzato lo smalto P2 Easy Gel Faded Brick visto qualche giono fa. Per lo stamping Colors by LLarowe In The Navy, uno degli smalti più belli di sempre. Dischetto QA91 di BornPrettyStore. Nail art day so let’s get straight to it. My base is P2 Easy Gel Faded Brick that I showed you a few days ago. For stamping I used Colors by LLarowe In The Navy, which is one of the most gorgeous shades ever created. Plate is QA91 from BornPrettyStore. Forse è una combinazione di colori un po’ inusuale, ma io l’adoro! E cosa dire di questo dischetto? Ha due disegni chiave secondo me: lo zig-zag e le righe diagonali. Fino ad ora per fare questi disegni sulle unghie ho usato gli adesivi appositi di questa forma, ma sono molto pigra e con lo stamping mi viene molto più veloce ottenere lo stesso look. E ora scappo a godermi il fine settimana. Vi piace questa nail art? E cosa ne pensate dell’accostamento di questi due colori? Maybe the colour combo is a bit unusual but I totally love it. 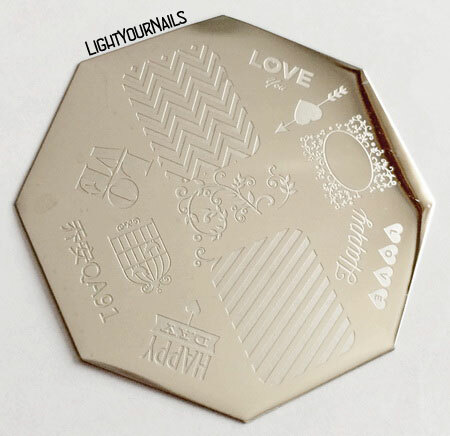 And what about this stamping plate? It has two key-patterns in my opinion: chevrons and stripes. Until now I’ve used nail tape to get these designs but it takes much longer than stamping and I am super lazy so bye bye tape! Now I’m off to enjoy the week-end. Do you like this mani? And do you enjoy this colour combination? Não dou jeito de fazer isso nas minhas. HOLY moly. That rainbow stamping! What a stunning and crisp stamping! Thank you Vedrana! That plate is so good! Flawless stamping and the holo looks so magical! Great job with the stamping! I wish my holo polishes worked half as well for stamping. All the CbLs I own are one coaters and they work great for stamping! These two are perfect together, and the stamping turned out so well. I'm loving the combo of holo and creme! These are really cool! I love the little added sparkle from the stamping! Really a nailart that I should try myself, how gorgeous!